Try: Pedialyte. 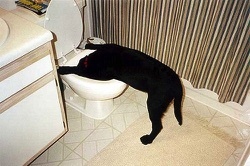 If your dog suffers from mild dehydration—signs include a dry mouth, panting, and a loss of skin elasticity—pour Pedialyte into his water bowl to quickly replace electrolytes. Drinking water will replace most electrolytes, but drinking this solution, formulated for babies, quickly replaces minerals like potassium and sodium. Try: Crisco All-Vegetable Shortening. To remove burs from your dog's coat, wear work gloves (to avoid getting pricked by the burs), work a dab of Crisco into the affected areas, and pry the burs lose. 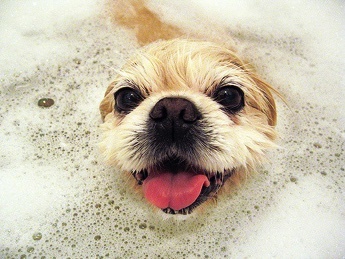 Shampoo your dog to remove the vegetable shortening. 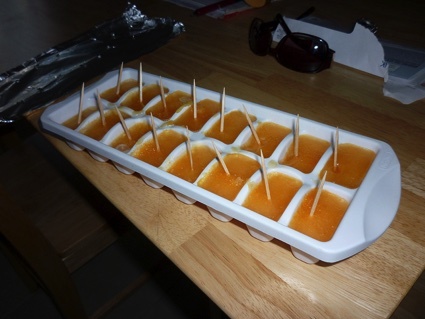 Try: Heinz White Vinegar and Heinz Apple Cider Vinegar. Mix 5 ounces of Heinz White Vinegar, 5 ounces of Heinz Apple Cider Vinegar, and 5 ounces of water in a 16-ounce trigger-spray bottle. Shake well. Spray the solution on whatever furniture your dog likes to chew. 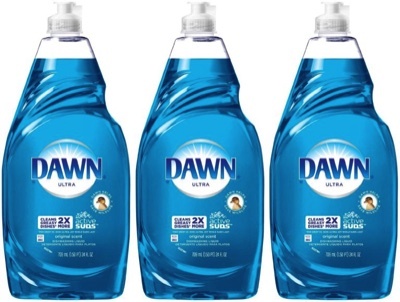 Try: Dawn Dishwashing Liquid. To kill fleas on dogs without using toxic chemicals, add a small amount of Dawn dishwashing liquid under running water to fill a sink or bathtub and give your dog a bath in the soapy solution. Work the lather into your pet's coat and let it soak for more than 5 minutes. The soap penetrates the exoskeletons of fleas, killing them, and works more effectively than some prescribed flea shampoos. Try: PAM Cooking Spray. To prevent leftover bits and pieces of moist pet food from sticking to the bottom of your dog's food bowl, give the inside of the bowl a light coat of PAM Cooking Spray before filling the bowl with pet food. The vegetable oil will prevent the food from adhering to the bowl—and the oil gives your pet's coat a nice shine. Protect your pup’s paws in the winter with Vaseline. Make a DIY dog toothbrush. Use hydrogen peroxide to induce vomiting. Use a dryer sheet to get rid of static electricity in your pup’s coat during thunderstorms. Diarrhea? Use ze old chicken and rice combo. Benadryl + baking soda paste helps with bee stings. Prevent demolished power cords and shocked puppies with bitter apple spray. 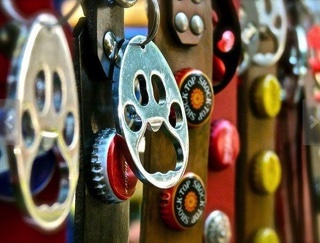 Attach a bottle opener to your dogs collar. If you love beer, this is a winner. 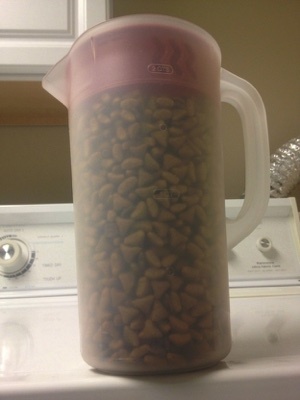 Use a plastic pitcher for dog food. 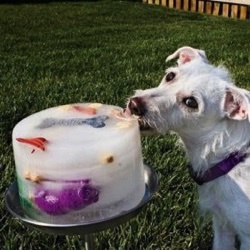 It's easier to pour and keeps your dog's food fresh. 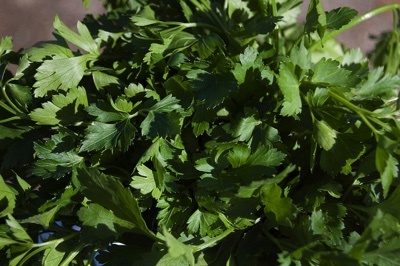 Sprinkle a little bit of fresh parsley into your dog’s food to freshen their breath. 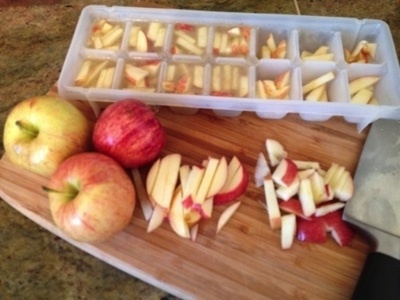 For an easy treat on hot days, cut up apples in low sodium chicken broth and freeze in an ice cube tray. 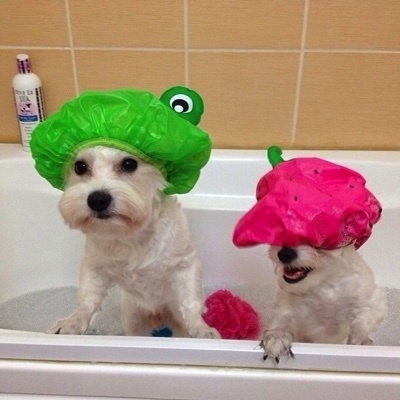 Use shower caps while in the bathtub to prevent water and soap from getting into their ears or eyes. Use baking soda to get dog urine out of carpet. 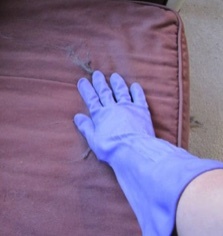 To remove pet hair from upholstery, dampen a rubber glove and run your gloved hand over it. 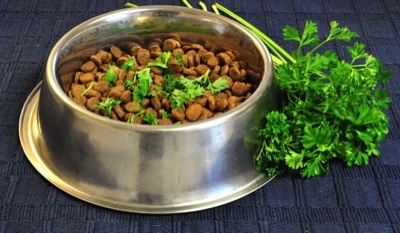 Instead of expensive doggy treats, just sprinkle parsley on your dog’s food for fresher breath. 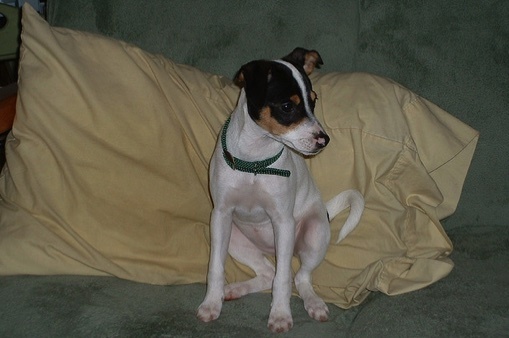 If your dog has an active flea infestation, wash him in Dawn to kill the adult fleas on him. Then proceed with your flea treatment. Take an empty plastic bottle, stick in an old sock and tie the end. 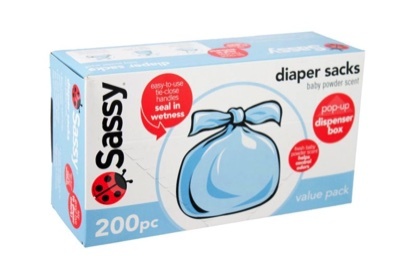 Instant crinkle toy on the cheap. Diaper bags are often less expensive than doggy bags and if you already have a baby, than it’s one less thing on your grocery list. If your dog had bad mats, sprinkle baby powder in them. It will help loosen it so you can brush it out. Bonus, your dog will smell nice! Use one of these giant carabiner to hold multiple leashes at the same time, while giving your dog’s more freedom than a couple allows. Plus the handle is soft and easy to hold. 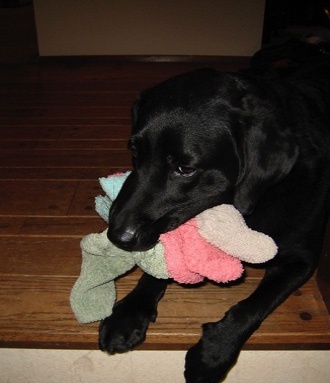 Save time by making a dozen doses of your dog’s medicine all at once. Put a small amount of peanut butter in an ice cube tray. Put your dog’s pill(s) in it, and cover with more peanut butter. Freeze. Label each one with a stick with the day on it, that way everyone will know if the dog already had his meds. If your dog doesn’t like peanut butter, try organic, no sugar added applesauce! Use pillowcases to cover your dog’s beds and mats, that way you can just slip the case off and wash it. 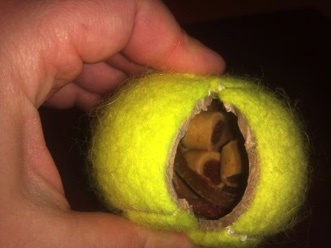 You can create your own food-stuffed dog chew to keep your little guy busy and anxiety-free while you're at work by carefully cutting a 1- to 1-1/2-inch hole in an old tennis ball. 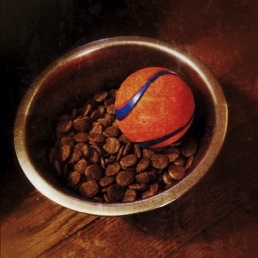 Then just fill the ball with everything from dog treats to peanut butter and cheese. 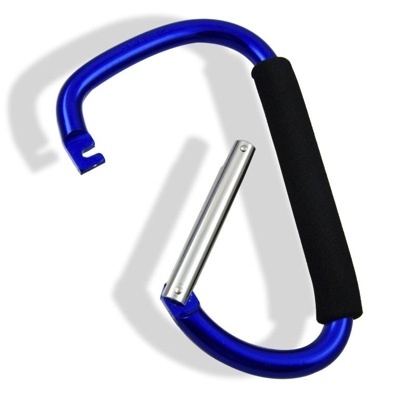 A carabiner is a metal clamp with a spring-loaded gate used by mountain climbers and in other safety systems to quickly but securely get a firm hold. Put the carabiner around the loop of your dog's leash when you go out, and you can easily secure it to any stationary object. 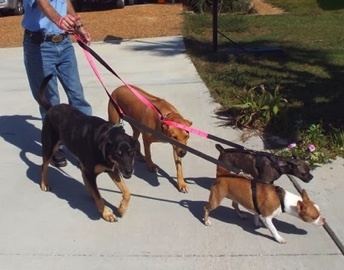 You can also use it to connect multiple leashes to walk all your dogs at once. 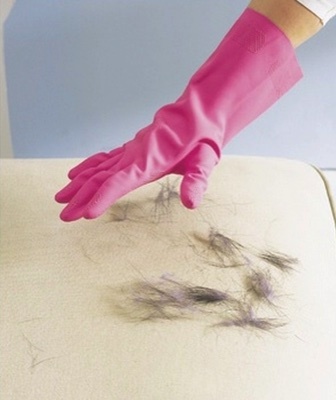 Wet a rubber or latex glove, and use it to pick up the dog hair left on upholstery. 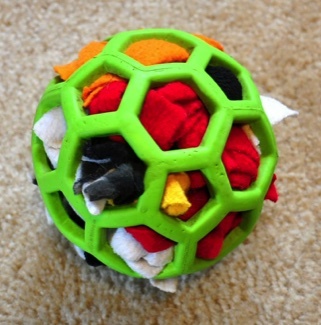 If your fur baby has a habit of ripping apart stuffed animals, use a Hol-ee Roller Ball stuffed with a treat surrounded by scraps of fabric. Your dog will spend all day yanking out the fabric to get to the treat, and you can just re-stuff it for next time, and your only extra expense is dog treats. 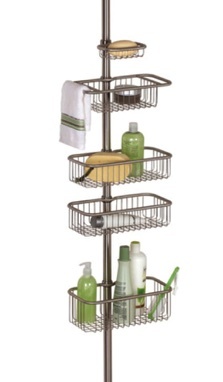 Shower caddies aren't just for the shower. Hang one in the closet or garage, and you can store extra dog treats, care products and more in the shelves and hang leashes, harnesses and rain gear on the pegs. If you have one of those dogs that turns its nose up at vital medicine, trick it with a homemade pill pocket. 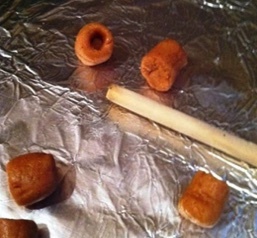 Just mix peanut butter, milk and flour and roll it into balls, stabbing them with the blunt end of a chopstick to create the pockets. Store them in the fridge or freezer. I like to use crunchy peanut butter because my dog is less likely to detect the pill. If you're worried your pup will get suspicious that it suffers certain side effects each time, you can just use them as regular treats sometimes, too. Ticks are easier to remove if you dab them with a swab soaked in liquid dish soap. For fleas, mix one part each of Dawn and vinegar with four parts of warm water. Massage it in; let your dog sit in water for about five minutes. The fleas should float to the top of the water and die.